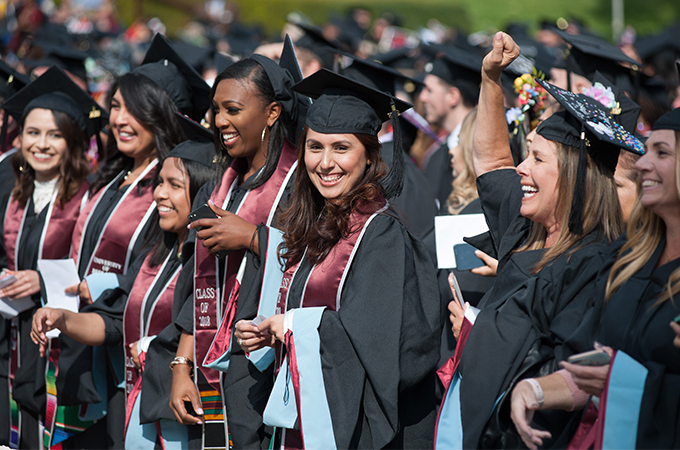 The School of Education was the first among University of Redlands schools to hold its 2018 Commencement on April 19, graduating 340 students. The keynote address was delivered by Dr. Tyrone C. Howard, an expert on race, culture, teaching, and learning in urban schools at University of California Los Angeles. However, members of my cohort quickly reminded me of all the good times we encountered together—from the late-night sessions in the library polishing up our final papers for Dr. [Pauline] Reynolds to the countless number of group projects, devouring Christina’s mouth-watering desserts, and listening to James’s stories about his service in Afghanistan and how he overcame homelessness and recently celebrated six years of sobriety. As you can imagine, being in the 10th grade, I had no idea what the quote meant. It wasn’t until I started the master’s program at University of Redlands that I began to understand what she was trying to teach. And that is we all reach a point in life where we feel our backs are pushed up against a wall and we can’t see our way out of negative situations—not passing a test, missing class, battling anxiety and depression, our cars breaking down, not landing the job of our dreams, or, sadly, even losing a loved one. 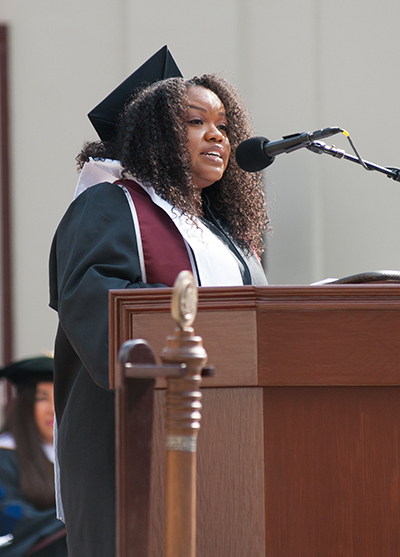 Essentially, the point of my speech is to encourage you all to not allow “life” outside of this Greek Theatre to prevent us from being the educators we are destined to be. The world is counting on us. Parents are counting on us. And, most importantly, students are counting on us. Will you be the one? The teacher, the mental health counselor, the administrator, the student affairs professional, the school or college counselor. A famous poet and lyrist, Belcalis Almanzar, better known as Cardi B, once said, “Knock me down nine times, but I get up 10.” Take an active role in your self-authorship. How do you want your story to be told when you leave University of Redlands? … I encourage you to share your success stories with your students, particularly how you were able to walk across the stage on this very day. To learn more, see the School of Education web pages. 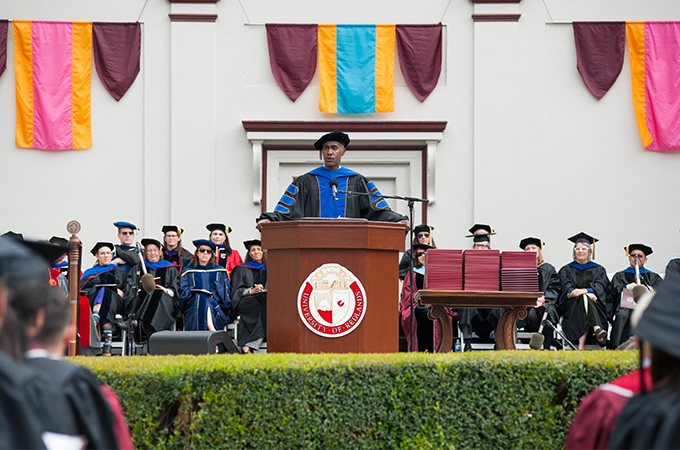 To view a recording of the ceremony, see the School of Education Commencement Video page.